A dentist can provide a wide range of services to treat periodontal issues. In many cases, the best treatment method for early stages of periodontal disease are non-surgical procedures. Non-surgical periodontal treatment can also help those with with severe cases, so surgery may not be necessary. There are many treatment methods that can be used to treat periodontal issues. About 8-10% of individuals will have bruxism, which is grinding of the teeth or clenching of the jaw. When individuals have bruxism, it will cause teeth to wear and break, headaches, and pain in the jaw. Although bruxism is commonly seen in individuals who are between 25-44, it can also occur in children. Usually, this will happen when an individual is sleeping. However, it can also occur during the day. The primary step in treating periodontal disease is normally a cleaning, which could include root planing and scaling. These non-surgical procedures will remove plaque, tartar, and calculus that can lead to gingival disease. However, scaling and root planing can be used as individual treatments. In most cases, these procedures are performed on those who have periodontal disease and gingivitis. Scaling will remove any calculus and plaque that have attached to the surfaces of the teeth. This procedure will focus on areas that are below the gum line and beside the root. A dentist will use an ultrasonic-scaling tool to perform this process. Most of the time the tool will include a process that will administer an antimicrobial agent to reduce and prevent oral bacteria. 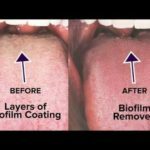 Root planing will remove cementum as well as surface dentin, which will also remove unwanted microorganisms, tartar, and toxins. The root of the tooth will be smoothed for faster healing and stops bacteria from developing in the future. Reduction surgery is a term that describes a series of surgical procedures that access the roots of the teeth to eliminate tartar and bacteria. There are three common reduction surgical procedures, which are osseous surgery, gingivectomy, and flap surgery. This procedure is often used to remove pockets in the aveolar bone that surround the teeth as well as reshaping deformities. Osseous surgery is an effective way to treat those who have severe periodontal diseases. The procedure will reduce or eradicate the periodontal pockets that are responsible for periodontal disease. Although the treatment is referred to as surgery, most patients report that it feels similar to a deep cleaning. This procedure will remove excess gum tissue. There are times when gum tissue can become large and cover the surface of the teeth, which will result in teeth appearing shorter. 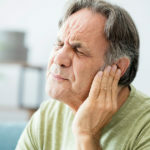 Medication, bone that is too close to the surface of the teeth, and inflamed gums due to periodontal disease are some causes of this condition. A frenum is a muscle attachment that is between the two front teeth. The frenum can recede when there is not enough attached gingiva. Furthermore, a frenum that is too large will not allow the teeth to come together, which will result in a gap between the teeth. When the frenum is too large or recession is present, a frenctomy is performed to remove the frenum. The body will not be able to protect against bacteria and trauma if the gingiva recedes. Gum recession is usually treated with gum reconstruction that will use gum grafting. When the gum recedes, it can also cause sensitivity to hot and cold food and beverages so gum grafting may be recommended. This procedure involves a small piece of tissue that is collected from the roof of the mouth and is attached to the problem area. This procedure is performed to help endangered teeth become more stable. It is also used to prepare the bone for dental implants. When periodontal disease becomes advanced, there will be pockets of degenerated bone in the jaw. The pockets can put an indiviudal at an increased risk for bacteria growth and infection. Tissue regeneration is an effective way to treat this condition. This procedure will clean the pockets and implant membrane between the pocket in the bone and the soft tissue. As a result, soft tissue will be blocked by the membranes and the bone will regenerate. This procedure is performed to cover roots that are exposed or sensitive and to prevent the gum from receding further. This procedure is also used for those who have short teeth due to too much gum tissue. If you are interested in learning more about treatment methods, then contact us today!